Very little to be seen with the OIII filter. Different processing. OIII enhanced and less saturated. 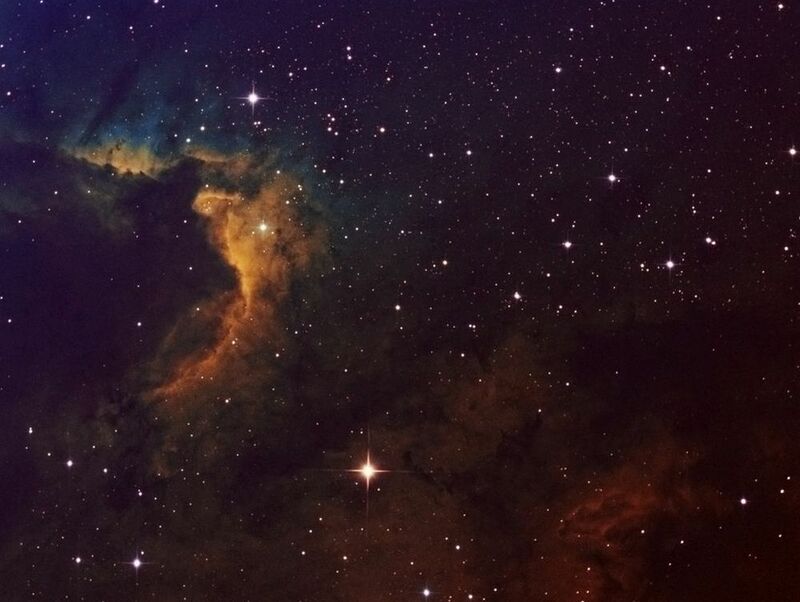 A nebula in Cygnus. Very bright Moon, but the H-alpha filter was up to the task. 12x10 minutes of ngc7000, North America nebula in Ha. 14x10 minutes using the Zambuto 8"
Some test shots of M31 using the Zambuto scope. Image quality looks good, but there is a horizontal line across the lower part of the image. 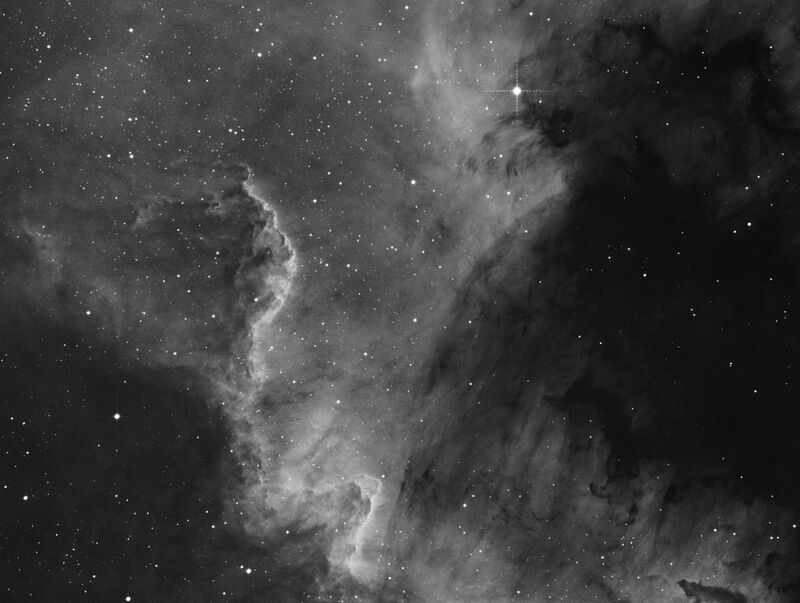 This is a mosaic made up from my image and the DSS images. Nu And looks like the culprit. I have made an extended lightshield and will try it out the next clear night. 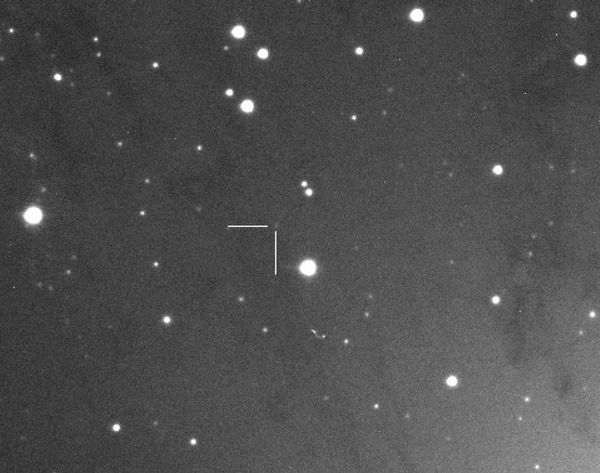 There are two recent novae in M31, which show up in my images. and tested the pointing accuracy tonight. 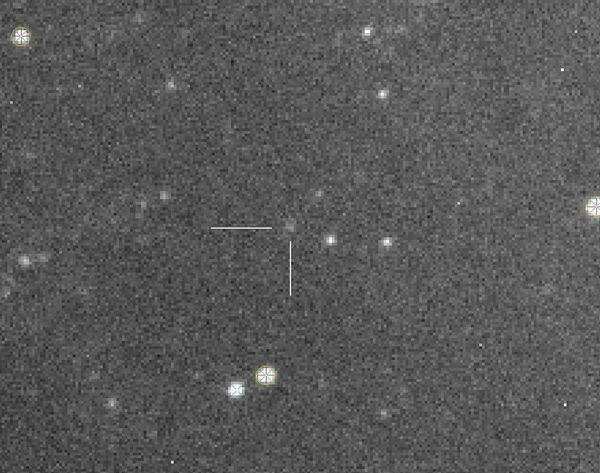 The first star chosen was Vega and the image showed it to be very close to the centre of the frame. 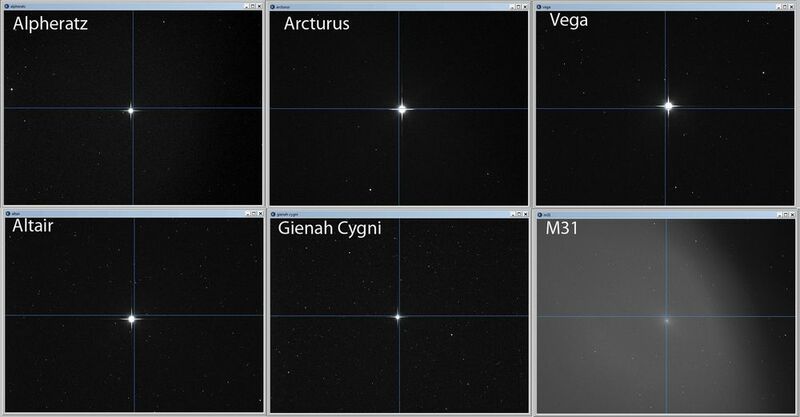 4 other stars followed and then M31. This is the result. 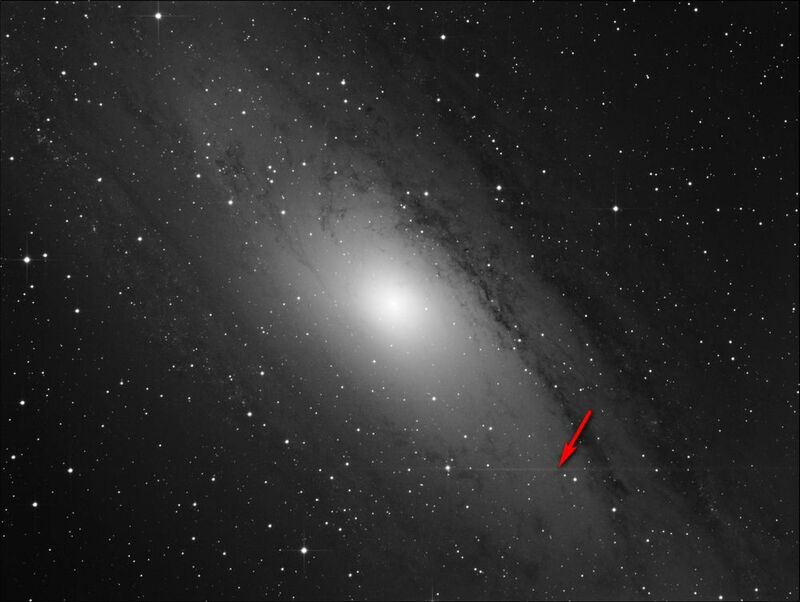 (Observatory light accidentally left on, so the M31 image is fogged).